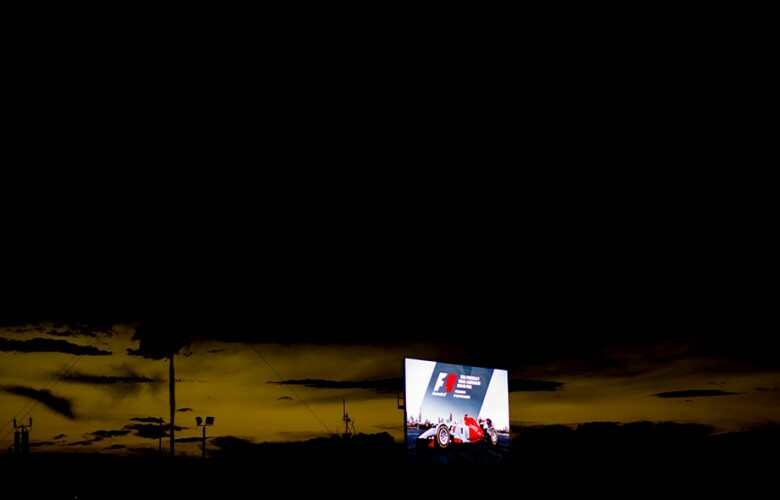 Sun goes down over the Albert Park Circuit during previews for the Australian Formula One Grand Prix at Albert Park Circuit on March 17, 2016 in Melbourne, Australia. 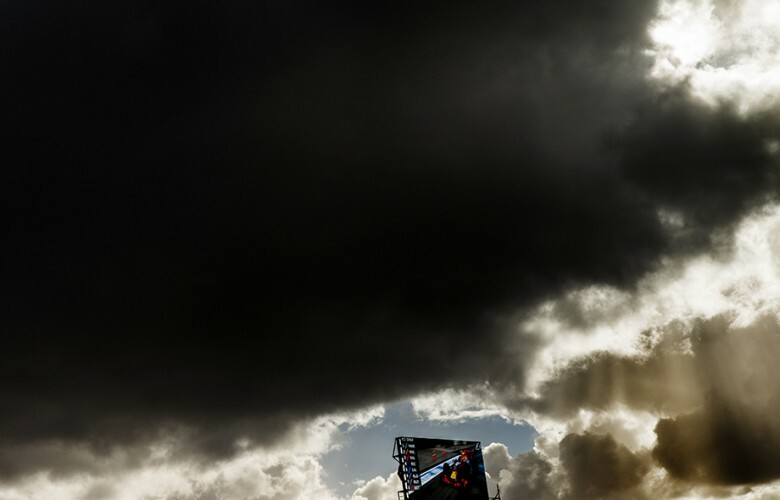 Red Bull Racing garage entry is pictured during previews for the Australian Formula One Grand Prix at Albert Park Circuit on March 17, 2016 in Melbourne, Australia. 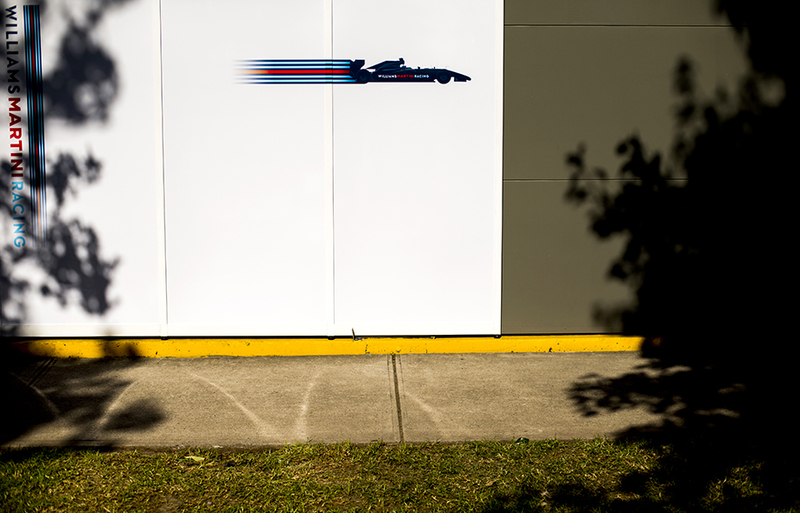 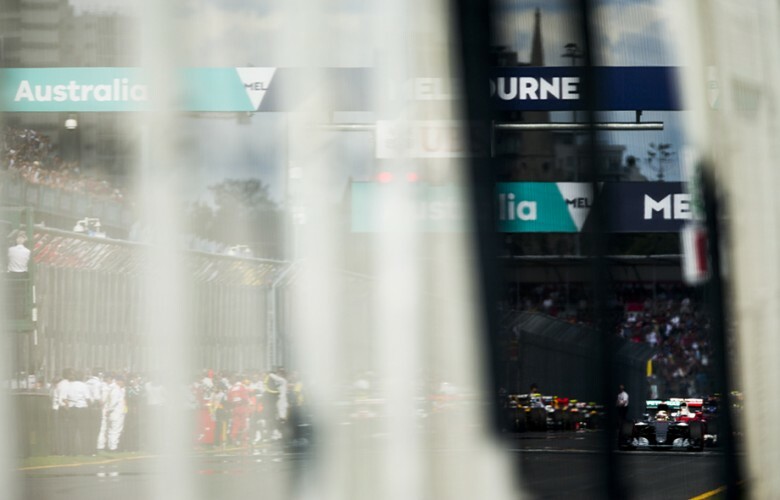 Williams Martini Racing garage wall is pictured during previews for the Australian Formula One Grand Prix at Albert Park Circuit on March 17, 2016 in Melbourne, Australia. 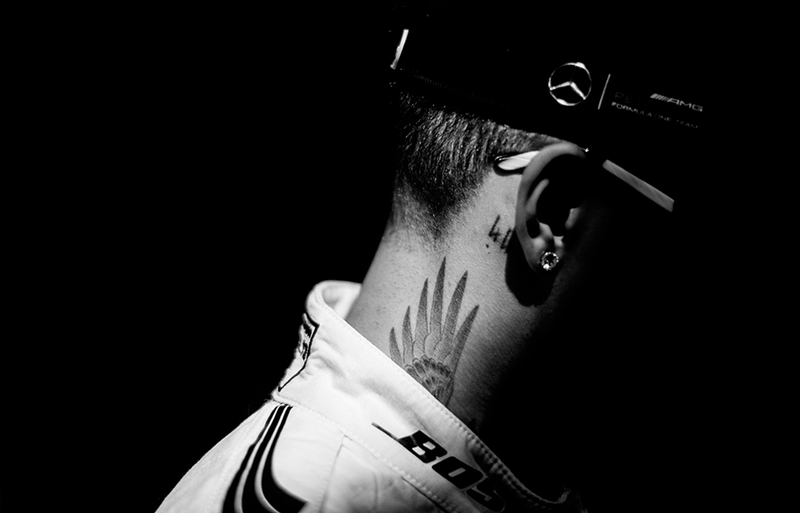 Lewis Hamilton of Great Britain and Mercedes AMG Petronas arrives for the official pre-season portrait session during previews for the Australian Formula One Grand Prix at Albert Park Circuit on March 17, 2016 in Melbourne, Australia. 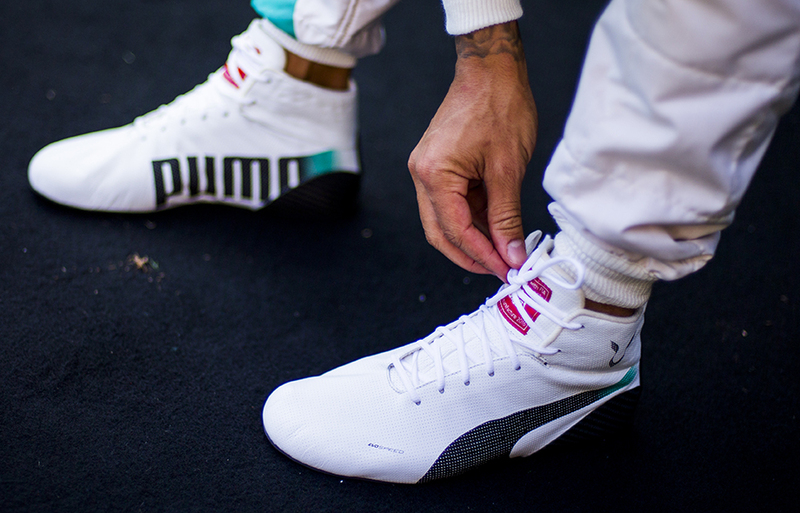 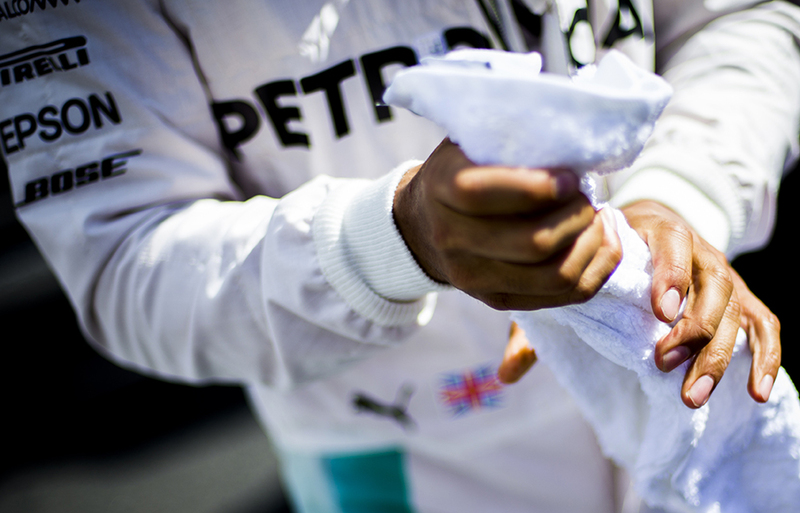 Lewis Hamilton of Great Britain and Mercedes AMG Petronas makes his shoe laces before the pre-season official portrait session during previews for the Australian Formula One Grand Prix at Albert Park Circuit on March 17, 2016 in Melbourne, Australia. Lewis Hamilton of Great Britain and Mercedes AMG Petronas is pictured at the pre-season official portrait session during previews for the Australian Formula One Grand Prix at Albert Park Circuit on March 17, 2016 in Melbourne, Australia. 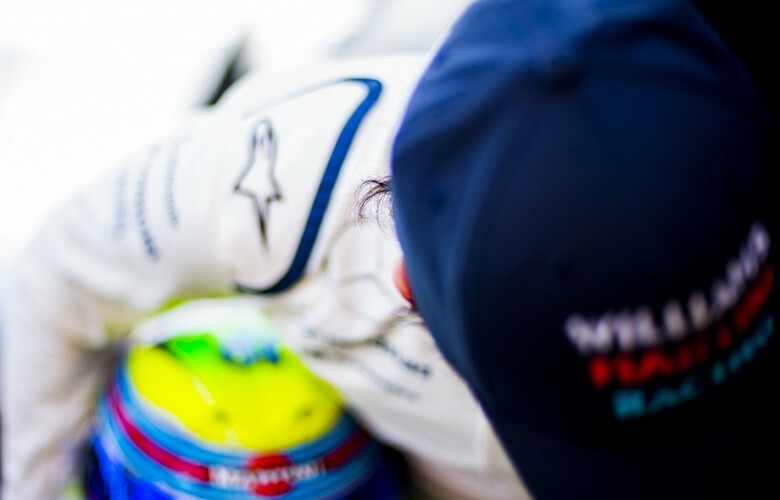 Felipe Massa of Brazil and Williams Martini Racing is seen during previews for the Australian Formula One Grand Prix at Albert Park Circuit on March 17, 2016 in Melbourne, Australia. 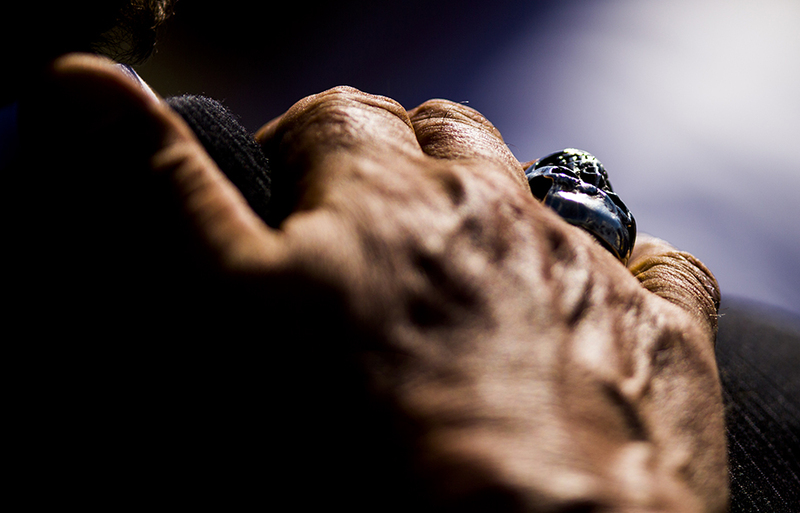 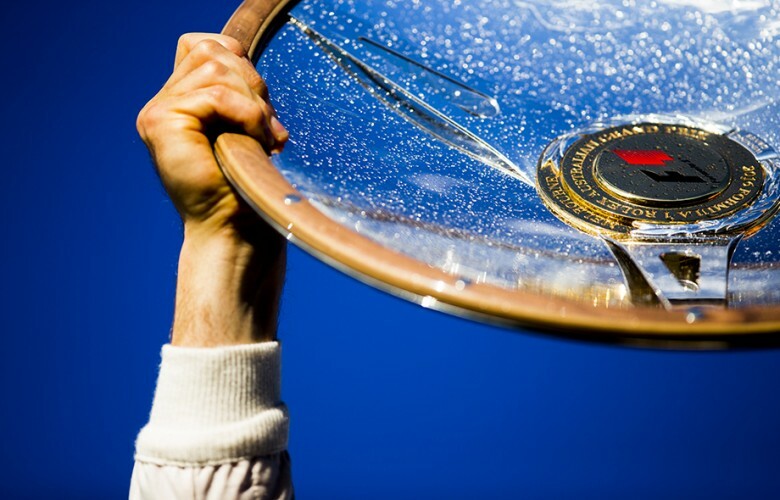 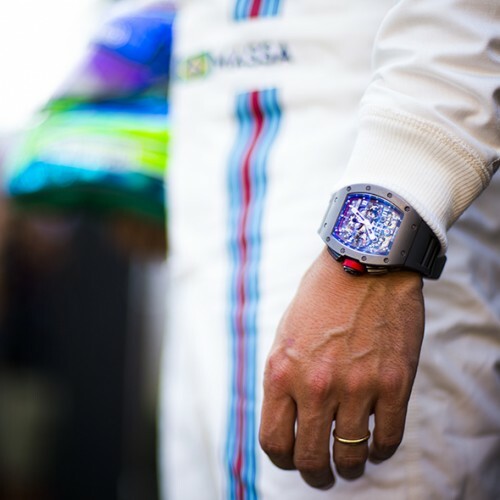 Hand with a wedding ring of Felipe Massa of Brazil and Williams Martini Racing is seen during previews for the Australian Formula One Grand Prix at Albert Park Circuit on March 17, 2016 in Melbourne, Australia. 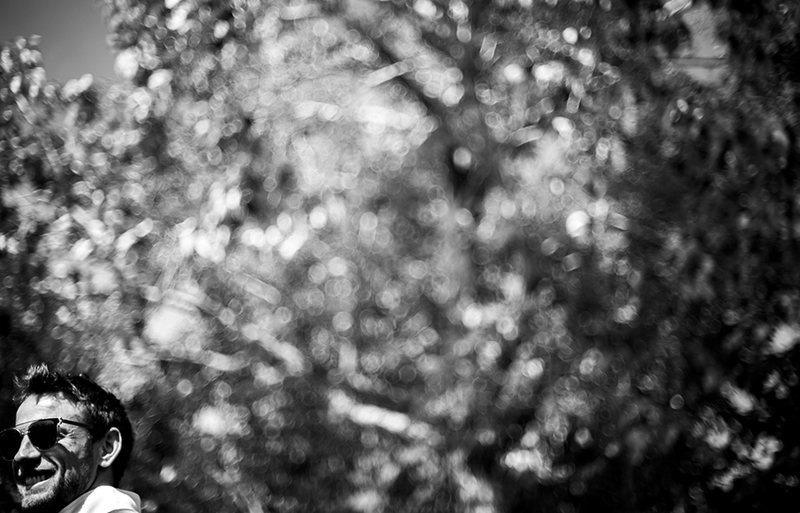 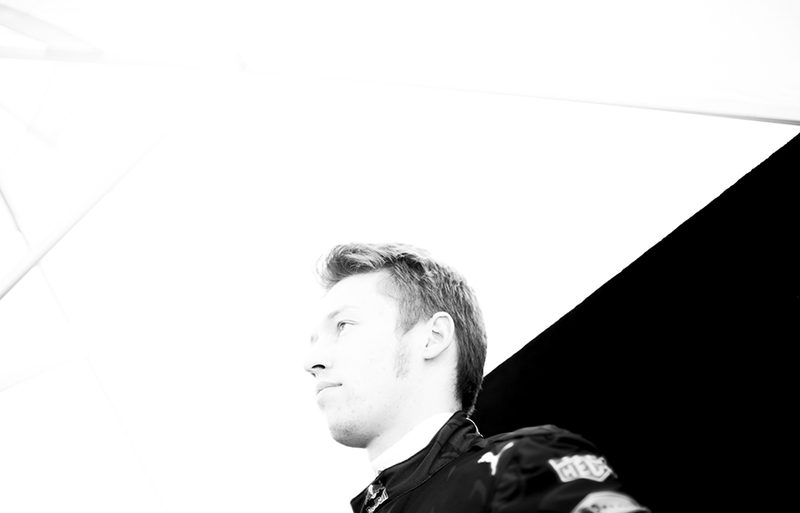 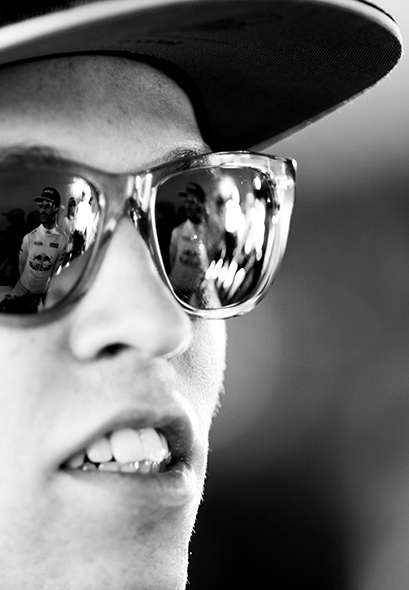 Daniil Kvyat of Russia and Red Bull Racing poses for a portrait during previews for the Australian Formula One Grand Prix at Albert Park Circuit on March 17, 2016 in Melbourne, Australia. 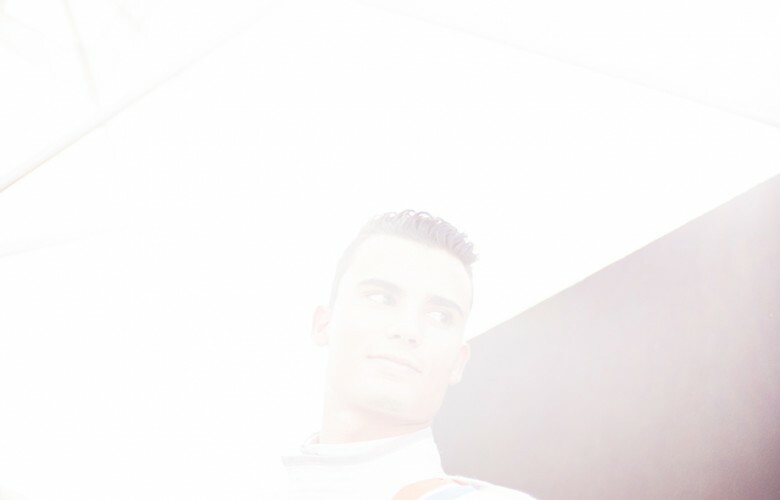 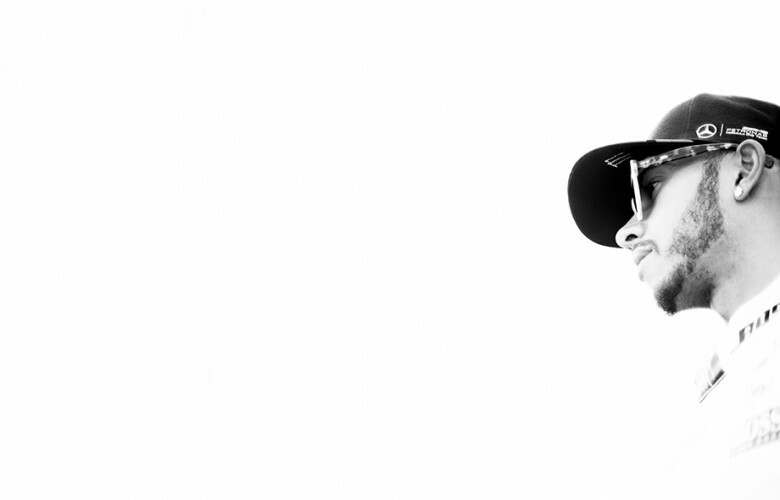 Pascal Wehrlein of Germany and Manor Racing MRT poses for a portrait during previews for the Australian Formula One Grand Prix at Albert Park Circuit on March 17, 2016 in Melbourne, Australia. 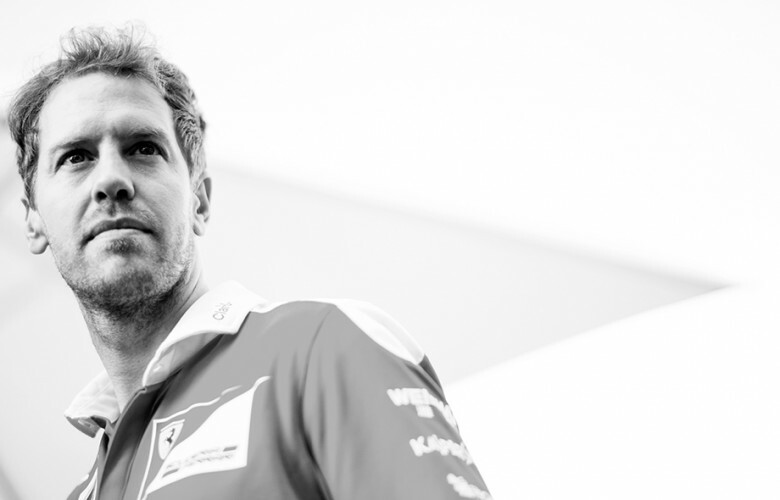 Sebastian Vettel of Germany and Scuderia Ferrari is portrayed in the paddock during previews for the Australian Formula One Grand Prix at Albert Park Circuit on March 17, 2016 in Melbourne, Australia. 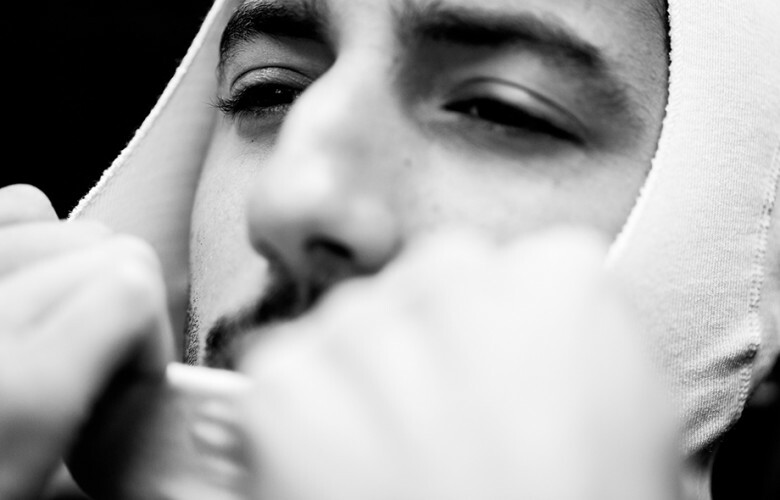 Daniel Ricciardo of Australia and Red Bull Racing is portrayed in the paddock during previews for the Australian Formula One Grand Prix at Albert Park Circuit on March 17, 2016 in Melbourne, Australia. 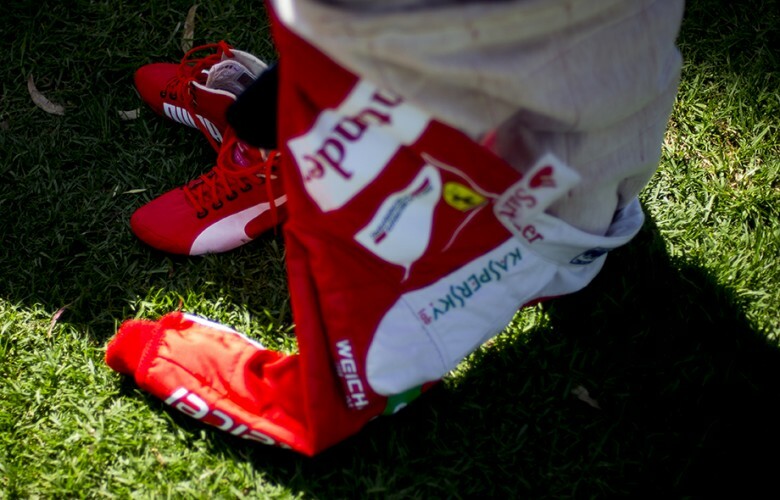 Sebastian Vettel of Germany and Scuderia Ferrari gets undressed inside the paddock during previews for the Australian Formula One Grand Prix at Albert Park Circuit on March 17, 2016 in Melbourne, Australia. 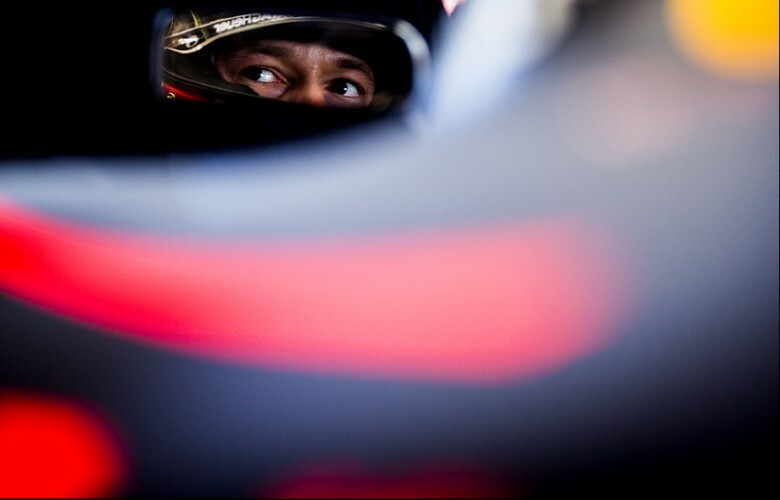 Jenson Button of Great Britain and McLaren-Honda is portrayed in the paddock during previews for the Australian Formula One Grand Prix at Albert Park Circuit on March 17, 2016 in Melbourne, Australia. Daniel Ricciardo of Australia and Red Bull Racing gets ready inside his RB12 during free practice for the Australian Formula One Grand Prix at Albert Park Circuit on March 18, 2016 in Melbourne, Australia. 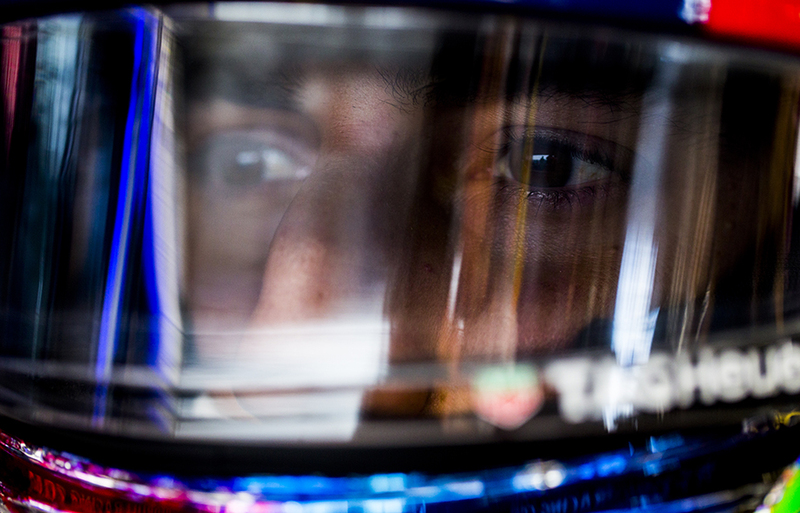 Daniel Ricciardo of Australia and Red Bull Racing sits inside his RB12 during free practice for the Australian Formula One Grand Prix at Albert Park Circuit on March 18, 2016 in Melbourne, Australia. 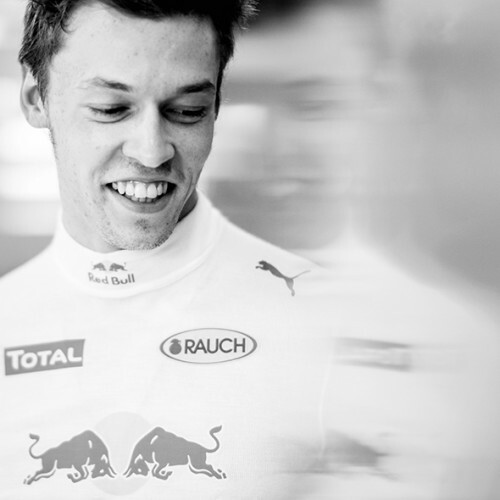 Daniil Kvyat of Russia and Red Bull Racing is pictured in the garage during free practice for the Australian Formula One Grand Prix at Albert Park Circuit on March 18, 2016 in Melbourne, Australia. 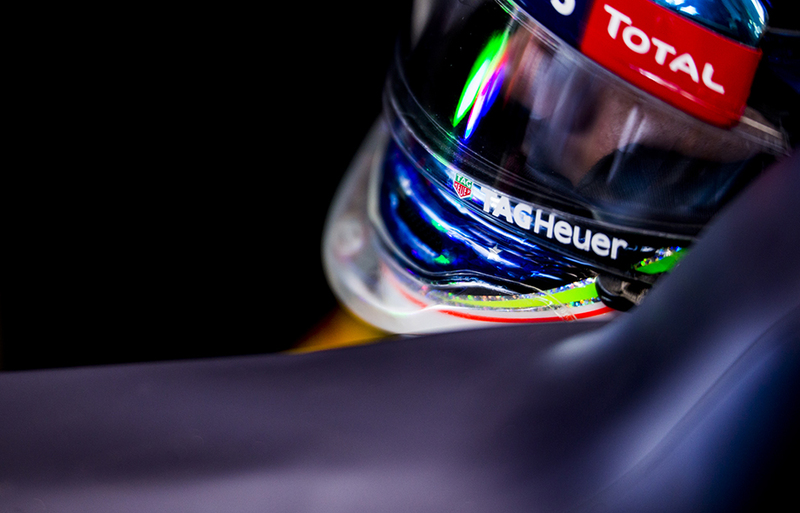 Daniil Kvyat of Russia and Red Bull Racing sits inside his RB12 during free practice for the Australian Formula One Grand Prix at Albert Park Circuit on March 18, 2016 in Melbourne, Australia. 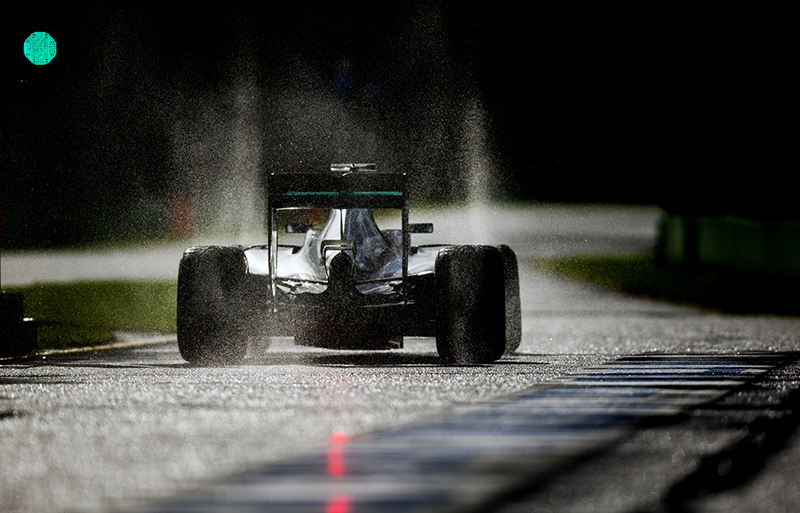 Lewis Hamilton of Great Britain and Mercedes AMG Petronas drives his W07 Hybrid during free practice for the Australian Formula One Grand Prix at Albert Park Circuit on March 18, 2016 in Melbourne, Australia. Daniel Ricciardo of Australia and Red Bull Racing drives his RB12 during free practice for the Australian Formula One Grand Prix at Albert Park Circuit on March 18, 2016 in Melbourne, Australia. 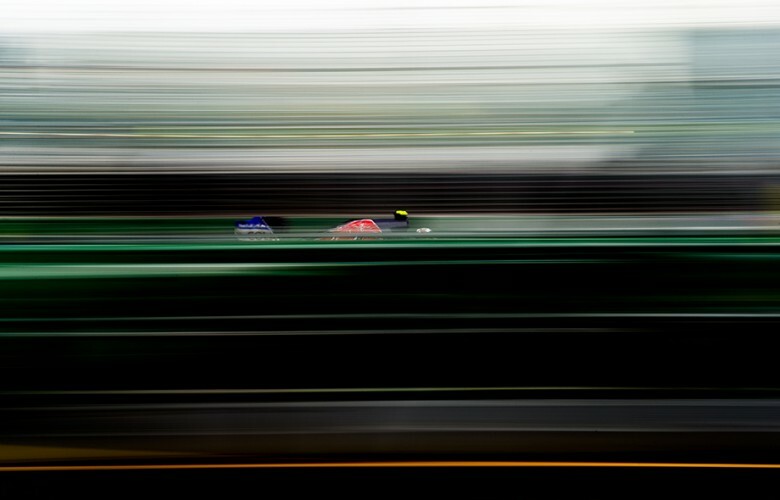 Carlos Sainz of Spain and Scuderia Toro Rosso drives his STR 11 during free practice for the Australian Formula One Grand Prix at Albert Park Circuit on March 18, 2016 in Melbourne, Australia. 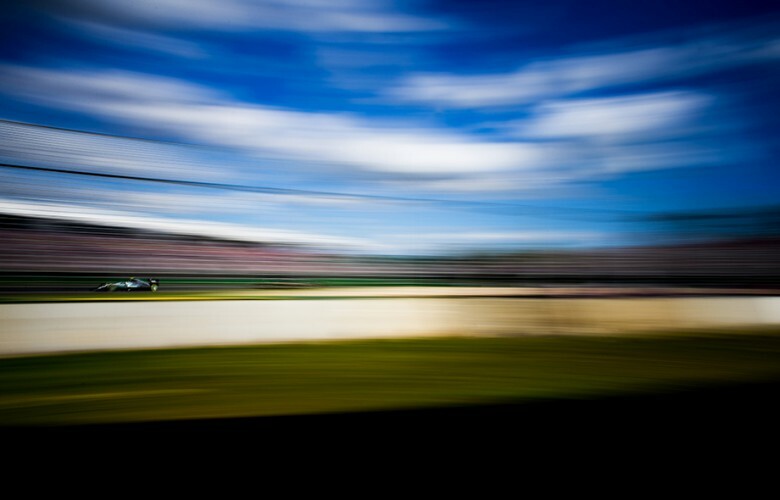 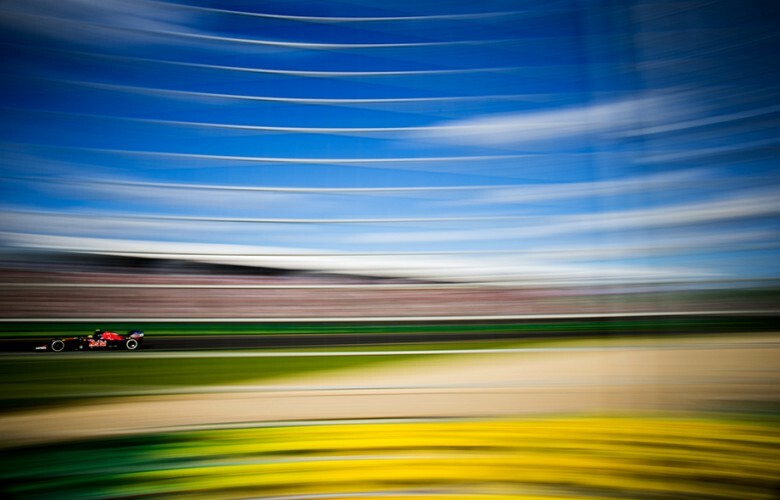 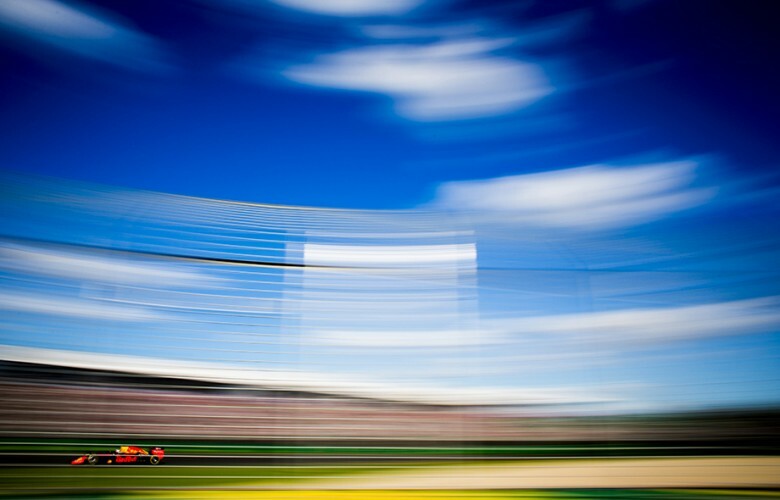 Daniil Kvyat of Russia and Red Bull Racing in his RB12 is pictured on the giant screen during free practice for the Australian Formula One Grand Prix at Albert Park Circuit on March 18, 2016 in Melbourne, Australia. 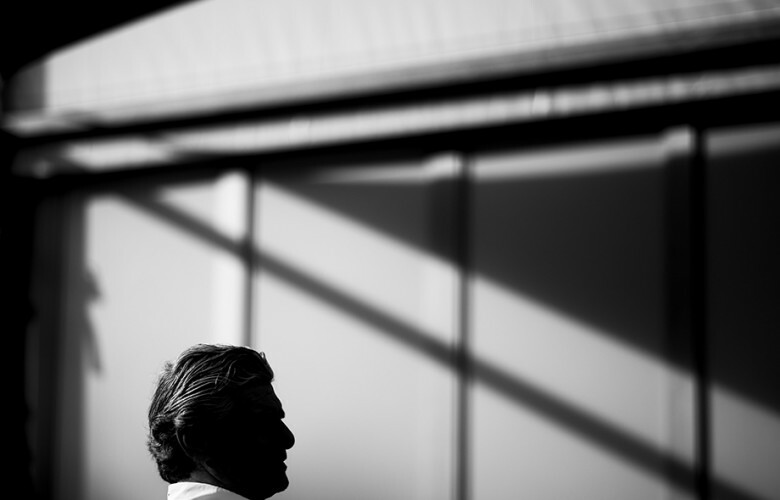 Scuderia Ferrari Team Principal Maurizio Arrivabene sits in the paddock during previews for the Australian Formula One Grand Prix at Albert Park Circuit on March 17, 2016 in Melbourne, Australia. 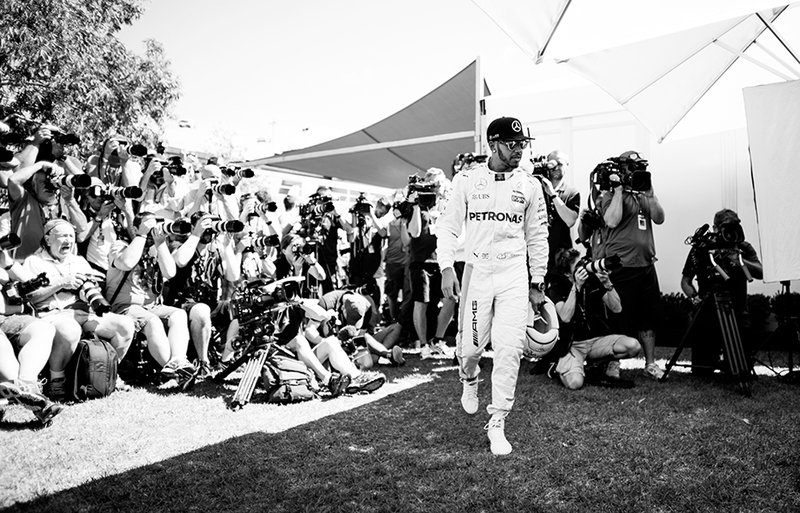 Lewis Hamilton of Great Britain and Mercedes AMG Petronas sits in the paddock during previews for the Australian Formula One Grand Prix at Albert Park Circuit on March 17, 2016 in Melbourne, Australia. 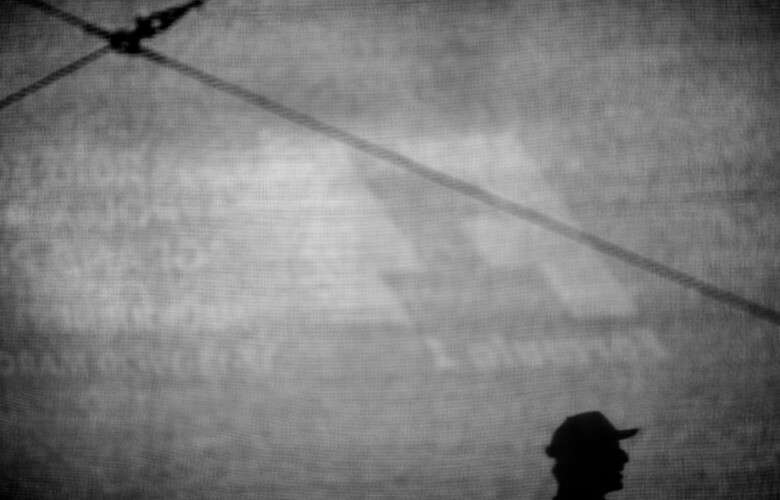 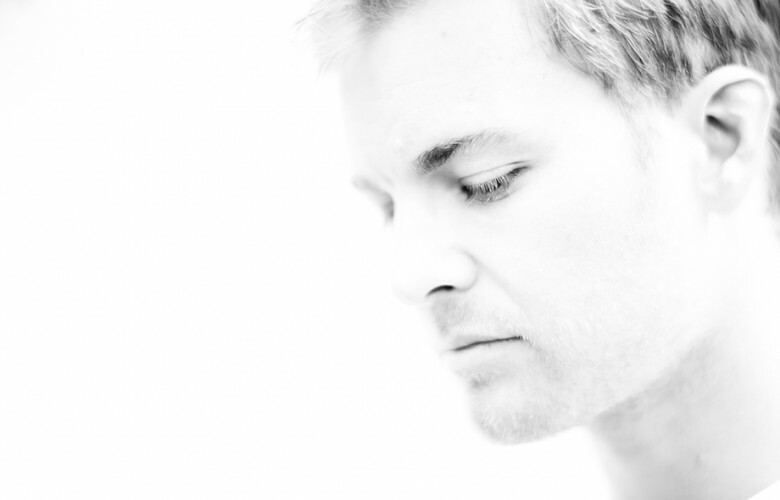 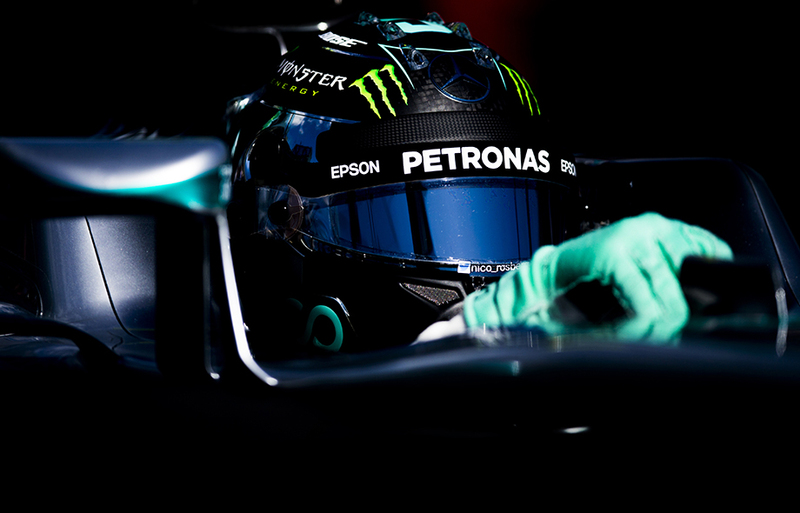 Nico Rosberg of Germany and Mercedes AMG Petronas is portrayed in the poddock during previews for the Australian Formula One Grand Prix at Albert Park Circuit on March 17, 2016 in Melbourne, Australia. 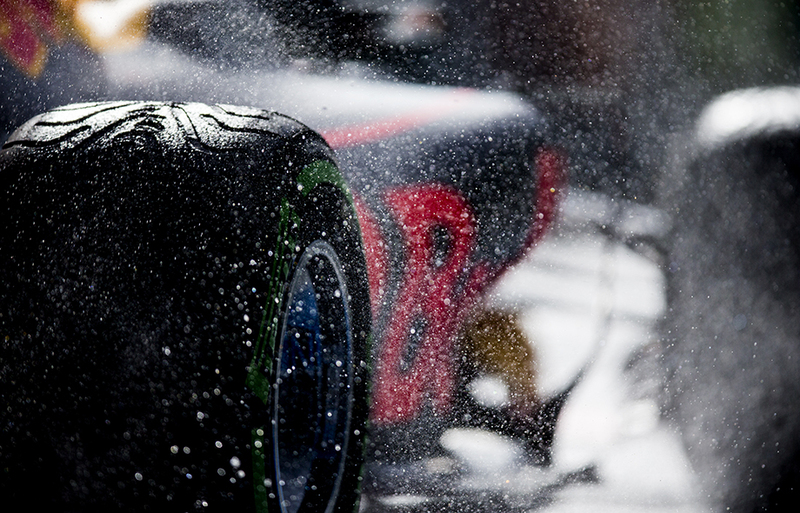 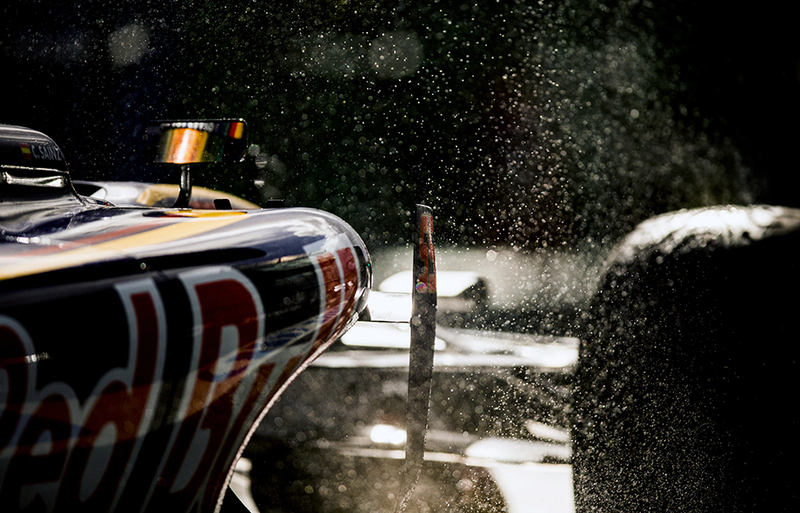 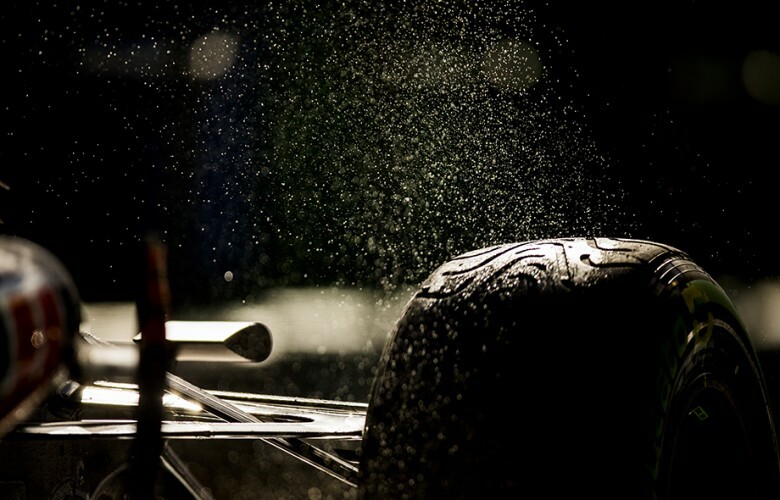 Sparks come off the RB12 of Daniil Kvyat of Russia and Red Bull Racing during practice prior qualifying for the Australian Formula One Grand Prix at Albert Park Circuit on March 19, 2016 in Melbourne, Australia. 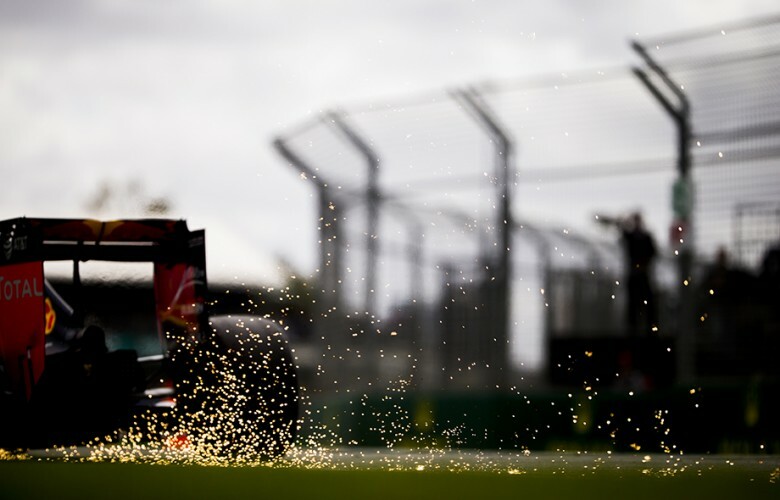 Esteban Gutierrez of Mexico and Haas F1 Team drives his VF16 during qualifying for the Australian Formula One Grand Prix at Albert Park Circuit on March 19, 2016 in Melbourne, Australia. 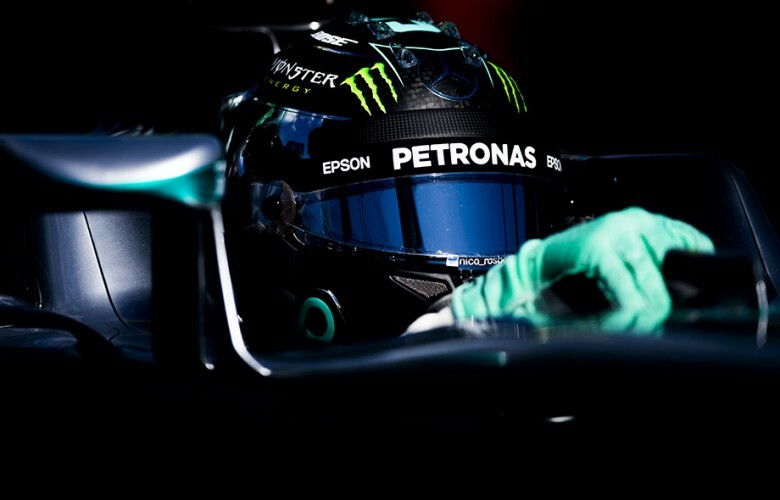 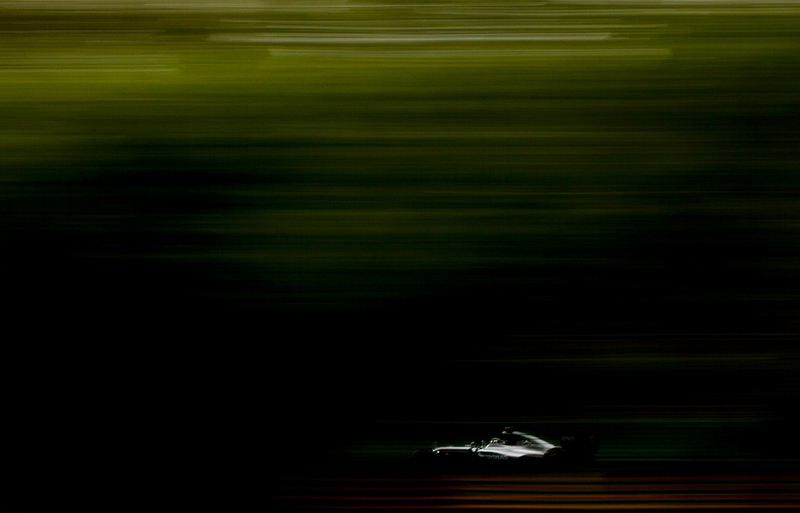 Nico Rosberg of Germany and Mercedes AMG Petronas drives his W07 Hybrid during practice prior qualifying for the Australian Formula One Grand Prix at Albert Park Circuit on March 19, 2016 in Melbourne, Australia. 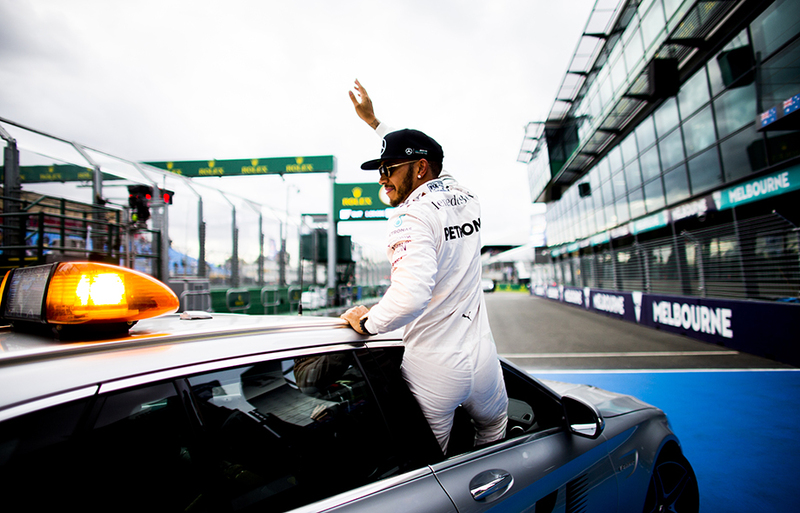 Lewis Hamilton of Great Britain and Mercedes AMG Petronas celebrates following his pole position during qualifying for the Australian Formula One Grand Prix at Albert Park Circuit on March 19, 2016 in Melbourne, Australia. 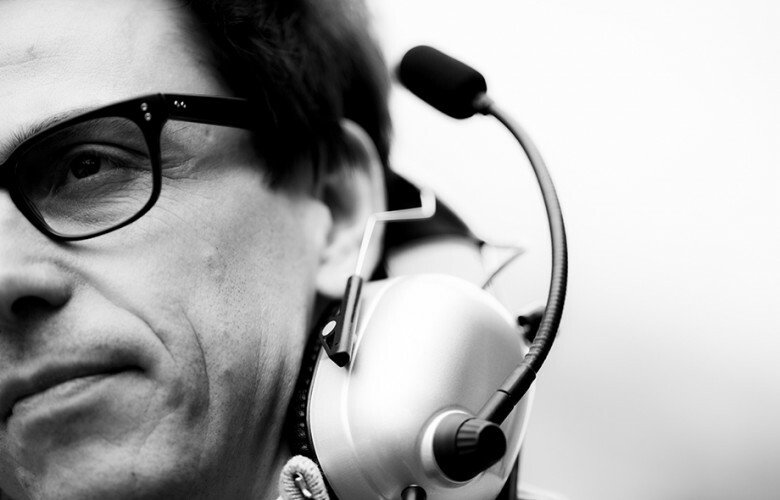 Mercedes AMG Executive Director Toto Wolff is portrayed following qualifying for the Australian Formula One Grand Prix at Albert Park Circuit on March 19, 2016 in Melbourne, Australia. 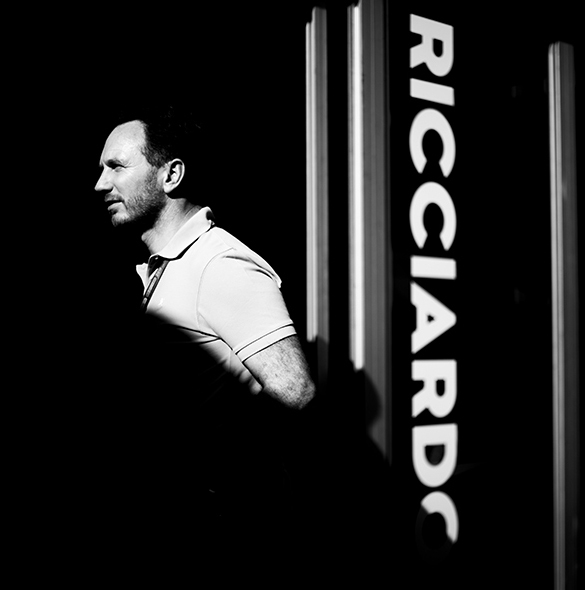 Red Bull Racing Team Principal Christian Horner is pictured in the team hospitality during previews for the Australian Formula One Grand Prix at Albert Park Circuit on March 17, 2016 in Melbourne, Australia. 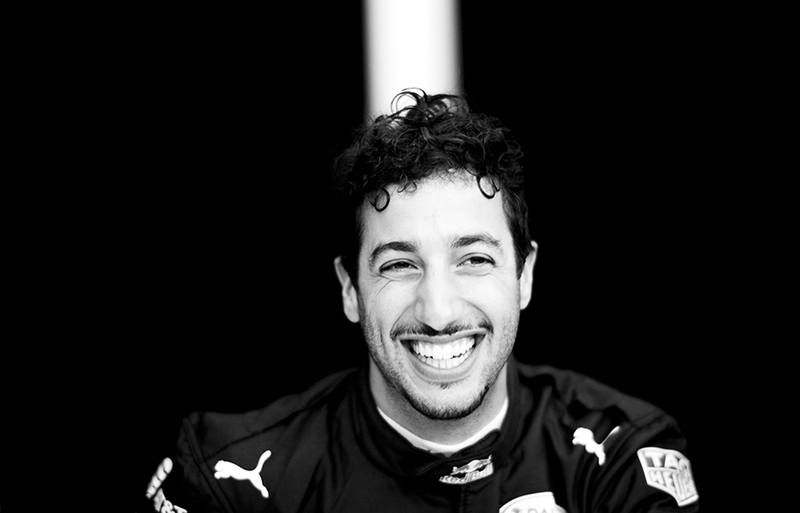 Daniel Ricciardo of Australia and Red Bull Racing smiles following qualifying for the Australian Formula One Grand Prix at Albert Park Circuit on March 19, 2016 in Melbourne, Australia. 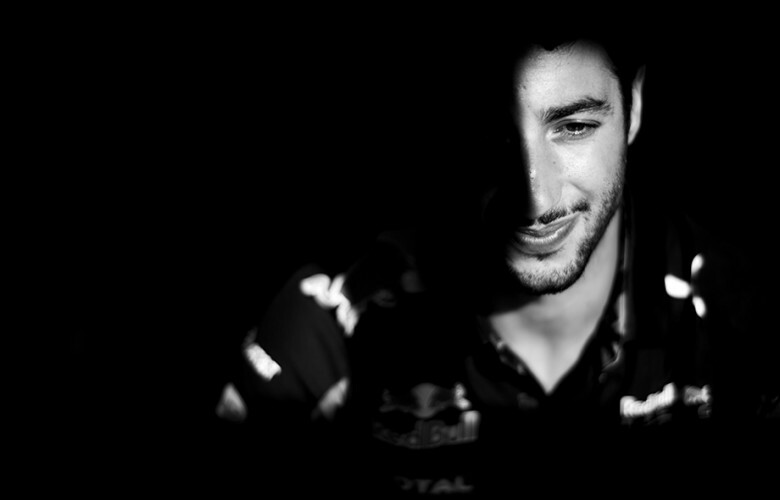 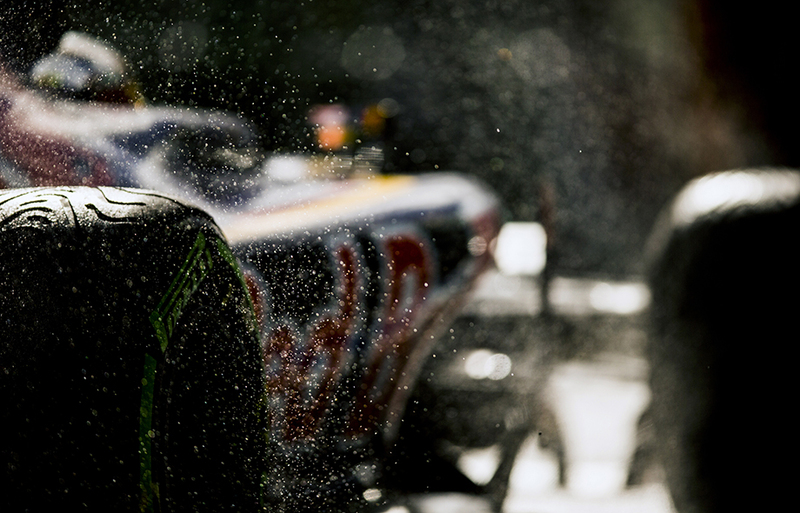 Daniel Ricciardo of Australia and Red Bull Racing is pictured prior practice prior qualifying for the Australian Formula One Grand Prix at Albert Park Circuit on March 19, 2016 in Melbourne, Australia. 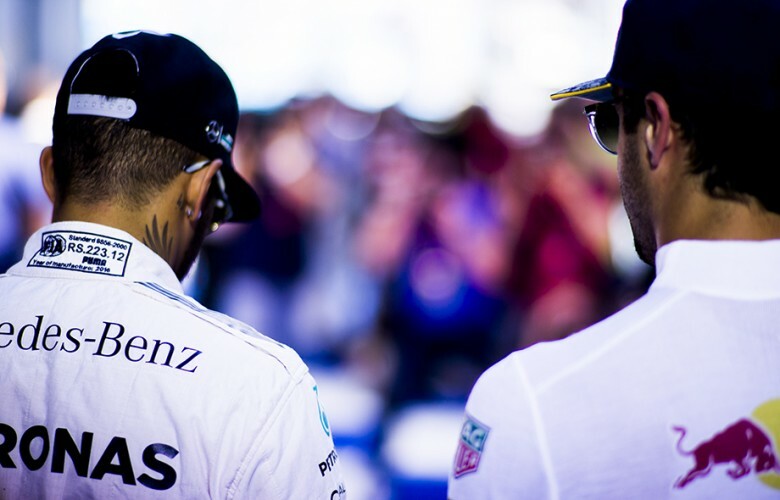 Lewis Hamilton of Great Britain and Mercedes AMG Petronas and Daniel Ricciardo of Australia and Red Bull Racing walk in side by side for the driver's parade prior to the Australian Formula One Grand Prix at Albert Park Circuit on March 20, 2016 in Melbourne, Australia. 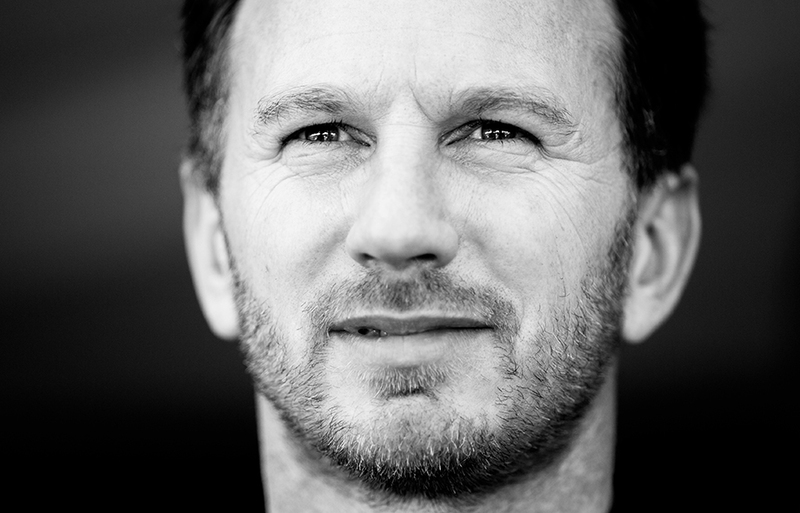 Red Bull Racing Team Principal Christian Horner is pictured prior to the Australian Formula One Grand Prix at Albert Park Circuit on March 20, 2016 in Melbourne, Australia. A detail view of the hand of a Hollywood star Arnold Schwarzenegger is seen prior to the Australian Formula One Grand Prix at Albert Park Circuit on March 20, 2016 in Melbourne, Australia. 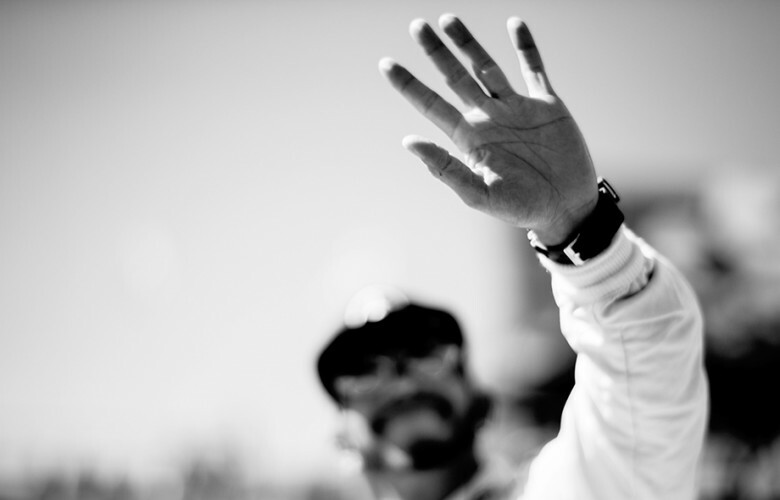 Lewis Hamilton of Great Britain and Mercedes AMG Petronas acknowledges his crowd prior to the Australian Formula One Grand Prix at Albert Park Circuit on March 20, 2016 in Melbourne, Australia. 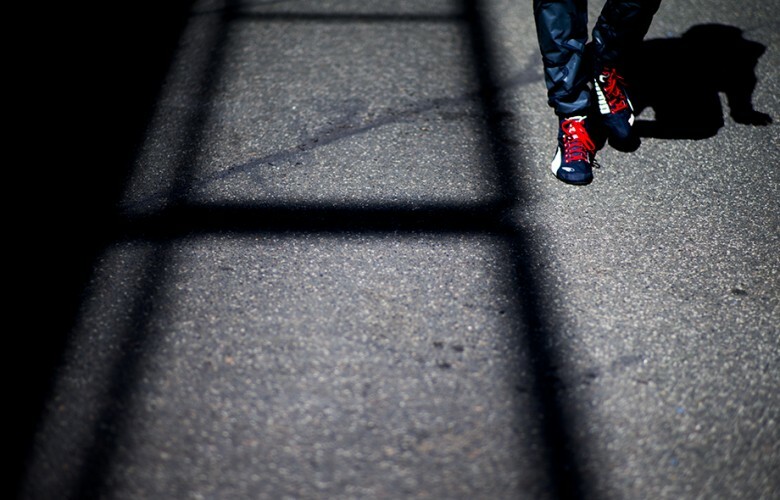 Daniil Kvyat of Russia and Red Bull Racing walks in the pitlane prior to the Australian Formula One Grand Prix at Albert Park Circuit on March 20, 2016 in Melbourne, Australia. 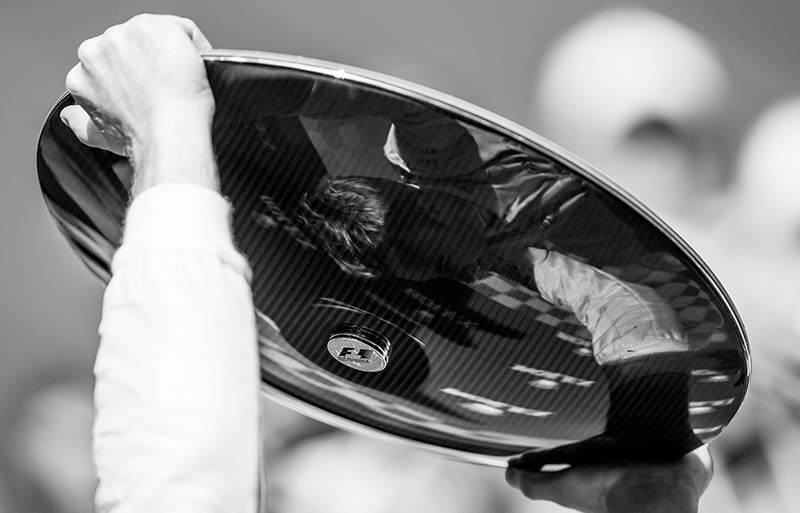 Daniel Ricciardo of Australia and Red Bull Racing is seen reflected in the sunglasses of his team mate Daniil Kvyat prior to the Australian Formula One Grand Prix at Albert Park Circuit on March 20, 2016 in Melbourne, Australia. 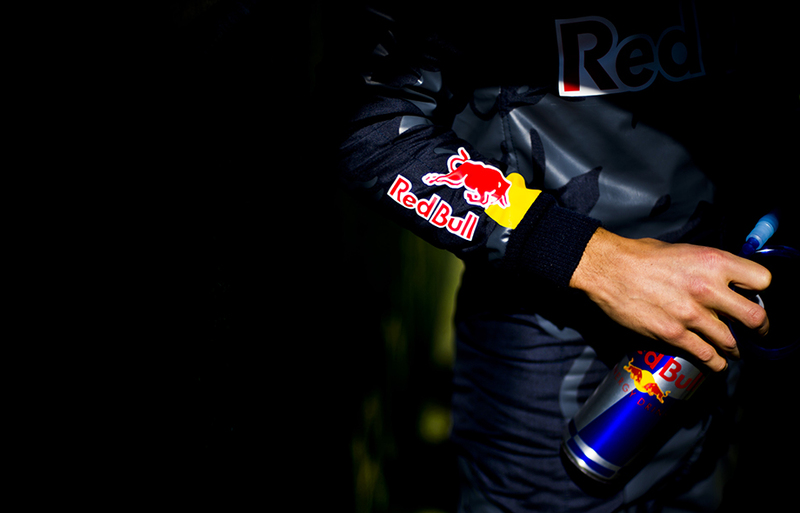 Daniel Ricciardo of Australia and Red Bull Racing holds his drinking bottle prior to the Australian Formula One Grand Prix at Albert Park Circuit on March 20, 2016 in Melbourne, Australia. Lewis Hamilton of Great Britain and Mercedes AMG Petronas holds his iced towel prior to the Australian Formula One Grand Prix at Albert Park Circuit on March 20, 2016 in Melbourne, Australia. Lewis Hamilton of Great Britain and Mercedes AMG Petronas is pictured prior to the Australian Formula One Grand Prix at Albert Park Circuit on March 20, 2016 in Melbourne, Australia. Lewis Hamilton of Great Britain and Mercedes AMG Petronas stands on the pole position ready for the wam up lap during the Australian Formula One Grand Prix at Albert Park Circuit on March 20, 2016 in Melbourne, Australia. 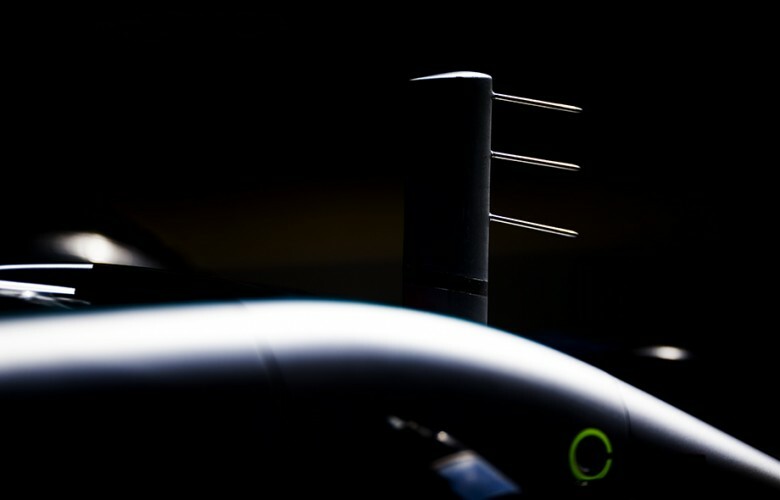 A detail view of the W07 Hybrid of Nico Rosberg of Germany and Mercedes AMG Petronas is seen during the Australian Formula One Grand Prix at Albert Park Circuit on March 20, 2016 in Melbourne, Australia. 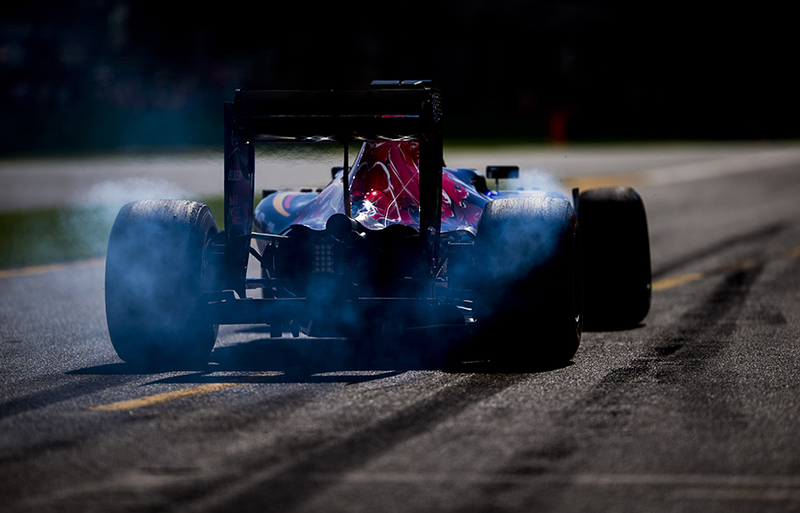 Max Verstappen of Netherlands and Scuderia Toro Rosso drives his STR 11 during the Australian Formula One Grand Prix at Albert Park Circuit on March 20, 2016 in Melbourne, Australia. Carlos Sainz of Spain and Scuderia Toro Rosso drives his STR 11 during the Australian Formula One Grand Prix at Albert Park Circuit on March 20, 2016 in Melbourne, Australia. 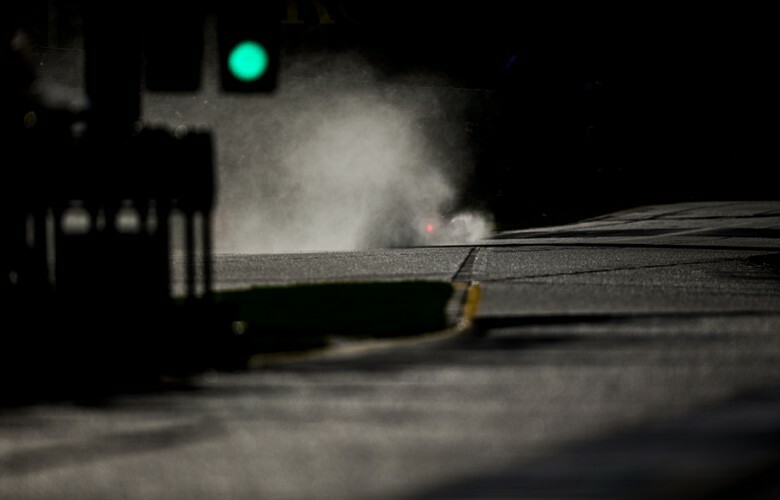 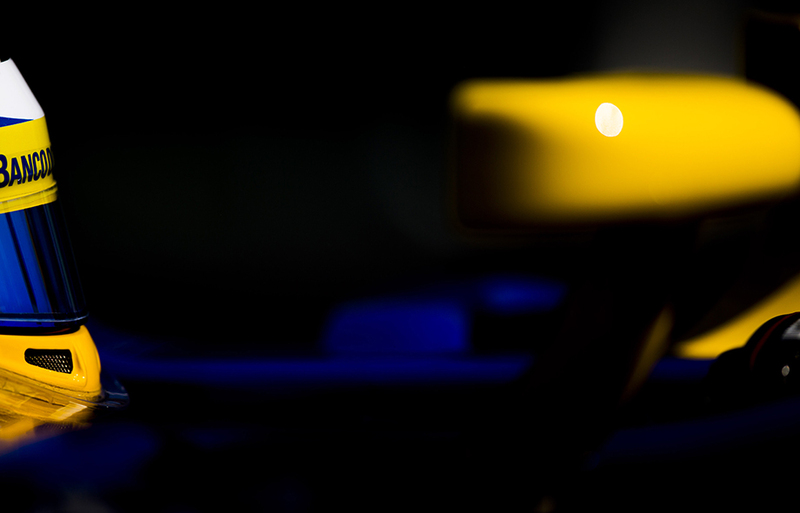 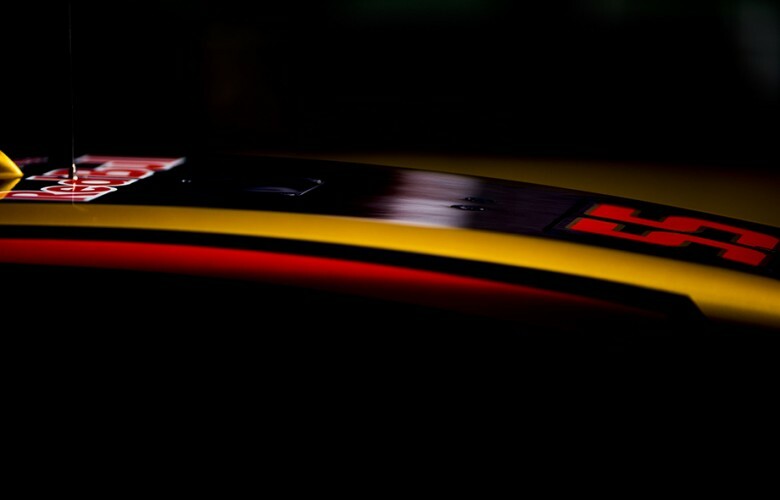 A detail view of the STR 11 of Carlos Sainz of Spain and Scuderia Toro Rosso is seen during the Australian Formula One Grand Prix at Albert Park Circuit on March 20, 2016 in Melbourne, Australia. 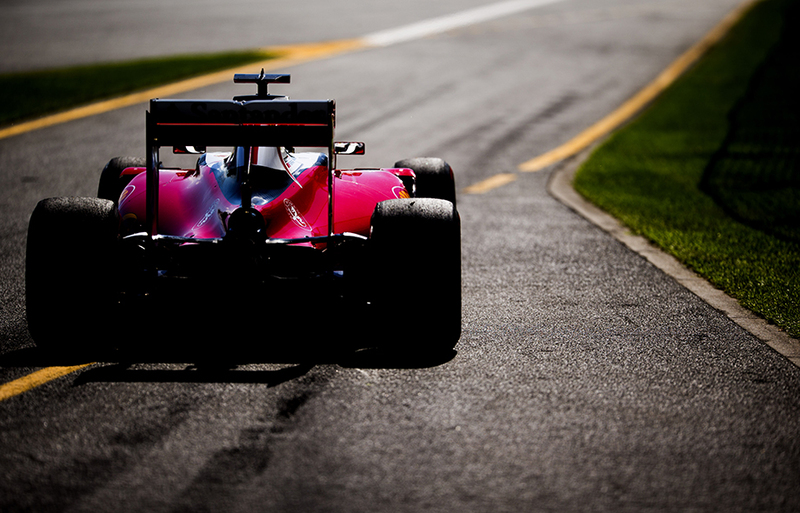 Sebastian Vettel of Germany and Scuderia drives his Ferrari SF16-H during the Australian Formula One Grand Prix at Albert Park Circuit on March 20, 2016 in Melbourne, Australia. 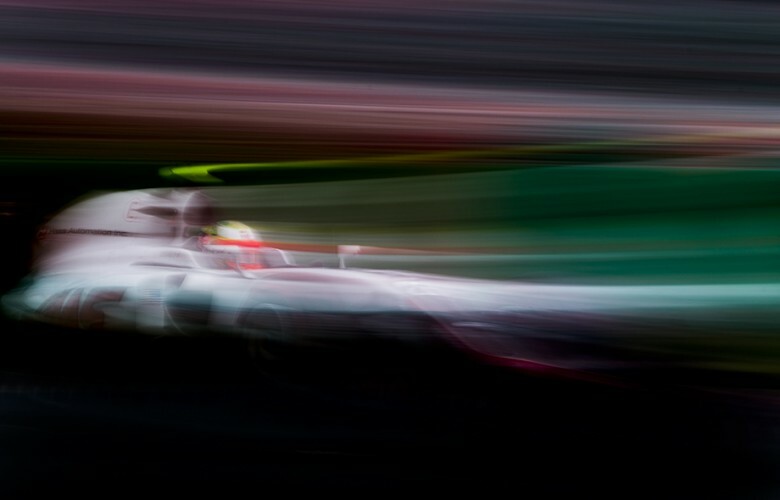 Nico Rosberg of Germany and Mercedes AMG Petronas drives his W07 Hybrid during the Australian Formula One Grand Prix at Albert Park Circuit on March 20, 2016 in Melbourne, Australia. Felipe Nasr of Brazil and Sauber F1 Team drives his C35 during the Australian Formula One Grand Prix at Albert Park Circuit on March 20, 2016 in Melbourne, Australia. 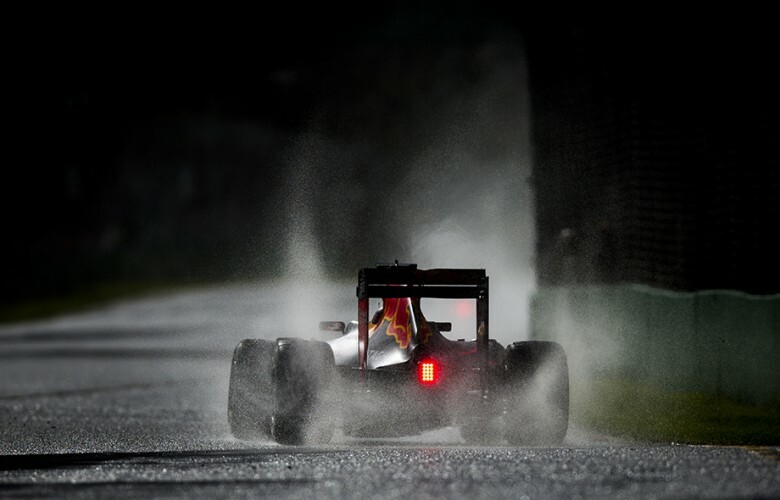 Daniel Ricciardo of Australia and Red Bull Racing drives his RB12 during the Australian Formula One Grand Prix at Albert Park Circuit on March 20, 2016 in Melbourne, Australia. Nico Rosberg of Germany and Mercedes AMG Petronas celebrates after winning the Australian Formula One Grand Prix at Albert Park Circuit on March 20, 2016 in Melbourne, Australia. 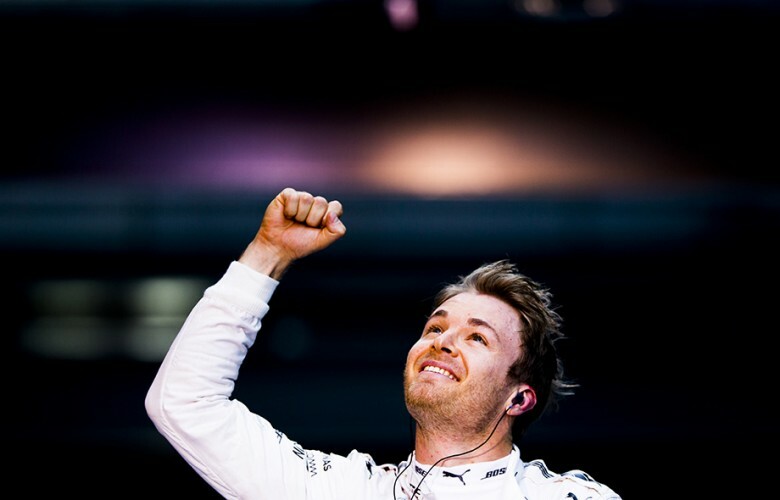 Nico Rosberg of Germany and Mercedes AMG Petronas celebrates with his trophy after following his win during the Australian Formula One Grand Prix at Albert Park Circuit on March 20, 2016 in Melbourne, Australia. 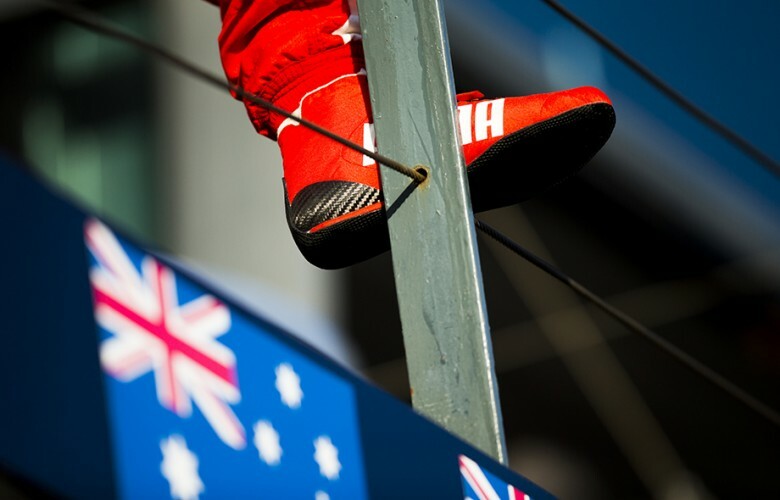 Sebastian Vettel of Germany and Scuderia Ferrari is pictured on the podium following his third place during the Australian Formula One Grand Prix at Albert Park Circuit on March 20, 2016 in Melbourne, Australia.